“Salt marshes are intertidal grasslands that form along sheltered, temperate shorelines and provide a valuable suite of ecosystem services including protection from shoreline erosion, carbon sequestration and provision of critical habitat for wildlife including endangered shorebirds, commercially-harvested fishes, crustaceans and mollusks. In the southeastern Atlantic coast of the US, however, the capacity for salt marshes to maintain these services have been compromised in recent decades due to the widespread invasions of feral hogs. Through their foraging for roots and molluscs and wallowing activities, feral hogs are known to turn over salt marsh soils and leave expansive swathes of largely dead vegetation in their wake. Because decomposition of resulting dead plant material can lead to soil subsidence and, hence, loss of marsh elevation, rapid recovery of marsh-forming cordgrass (Spartina alterniflora) is essential to preventing hog-disturbed salt marshes from shifting permanently to open water habitats. Due to limited research on the physical and biological factors that control the rate and pattern of cordgrass re-colonization of hog-generated disturbances, our ability to effectively target management of this invasive species or restore salt marshes degraded by its activities remains limited. 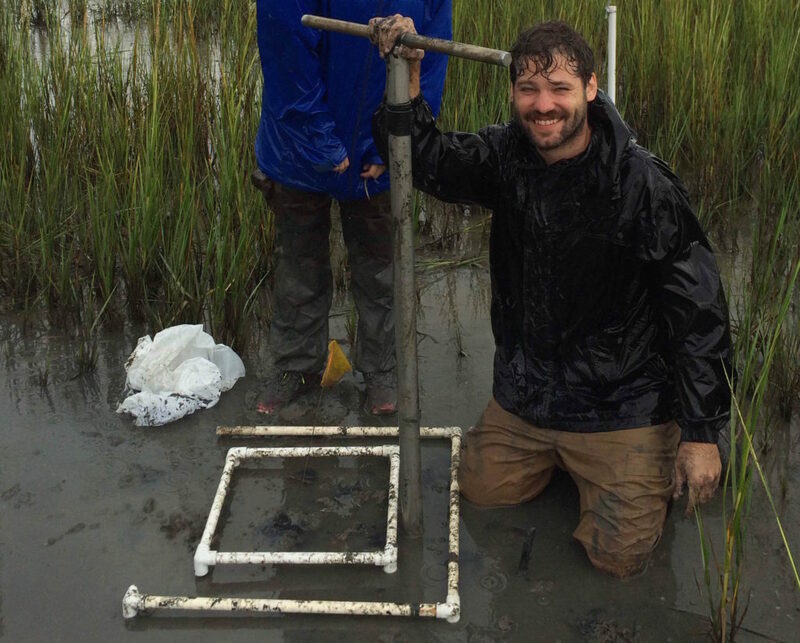 Here, I outline a two-tiered research program to investigate the effects of: 1) salt marsh soil parameters and resident invertebrates, and 2) the spatial distribution of remnant cordgrass patches on the expansion of cordgrass into hog-generated mudflats on small and large spatial scales, respectively.